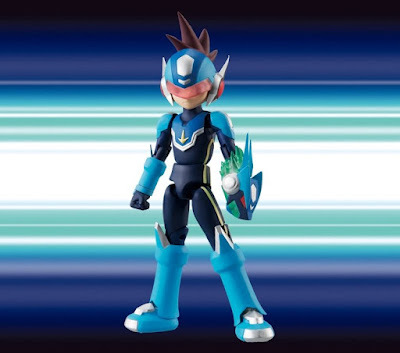 I don't know what we did to suddenly actually start getting officially licensed Star Force content, but I'll take it and continue to show support for it, Nice to know Bandai didn't forget him after all. Hopefully we can get some love for ZX soon enough as well, was really looking forward to possible 4-inch nels for that series actually. Aren’t they done making 4-inch Nel figures? I wish they weren’t so expensive now. That Mega Man X was supposed to be mine. Ah, I forgot about that. Not too excited about Roll or the weird Mega Man. It would be nice to get a Proto Man or maybe a couple Robot Masters. I’ve seem enough Cut Man. Air Man or Guts Man would be nice. Chad Koeppen but you should actually be excited, if they are making a figure for roll from the legends series they obviously aren't afraid to delve into more "obscure" or "unusual"characters. It opens the door for characters like robot masters who usually don't get figures. As long as its not a con-exclusive I will buy her.